Chris Buescher (17) and Chase Elliott (9) lead the ARCA Racing Series presented by Menards field to the green flag to start the Kentuckiana Ford Dealers ARCA Fall Classic presented by Federated Car Care at Salem Speedway. 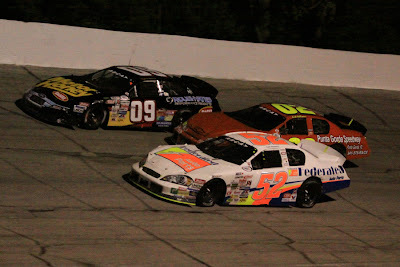 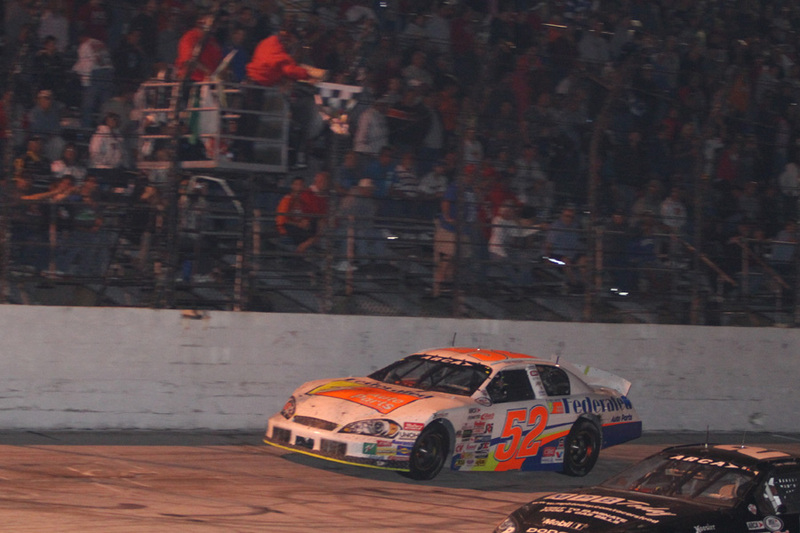 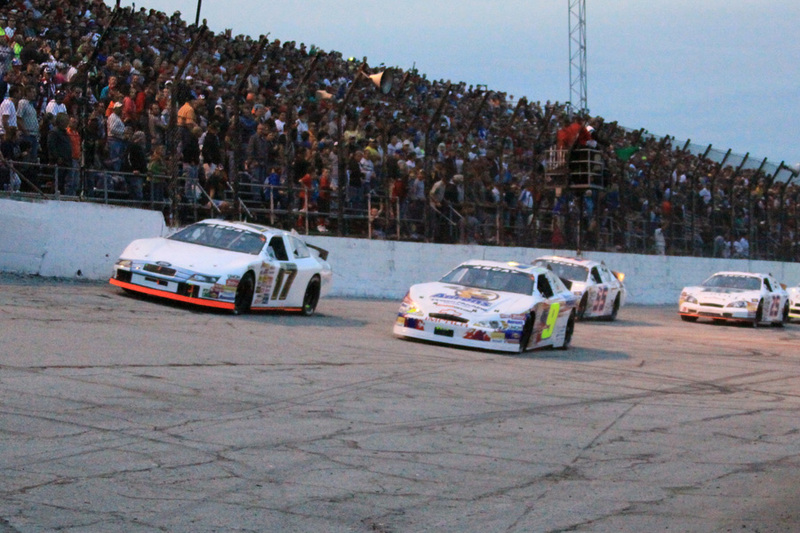 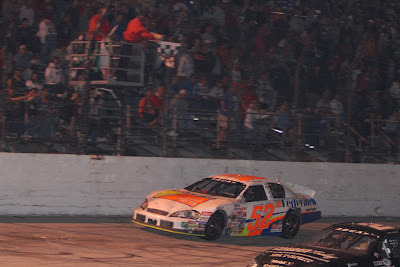 Race winner Tom Hessert (52) drives inside Josh Williams (02) and Frank Kimmel II (09) in the Kentuckiana Ford Dealers ARCA Fall Classic presented by Federated Car Care at Salem Speedway. 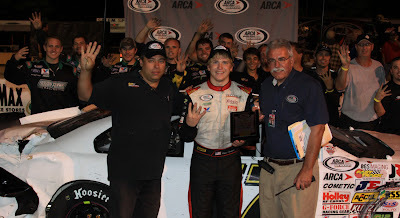 Bill France Four Crown Award winner Chris Buescher (center) receives the award plaque from ARCA president and CEO Ron Drager (right) as team co-owner and crew chief Gary Roulo stands by in Victory Lane at Salem Speedway. 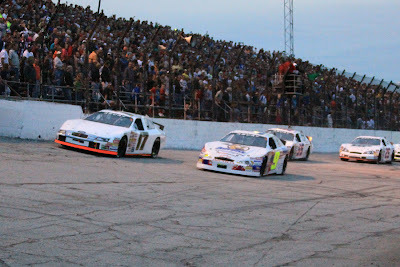 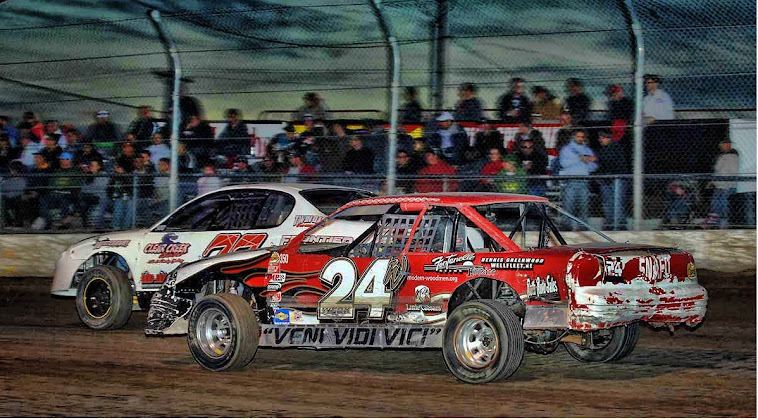 The Bill France Four Crown Award is given to a driver who performs the best in a collection of four races on four different surfaces on the ARCA Racing Series schedule: speedway, short track, dirt track, and road course. 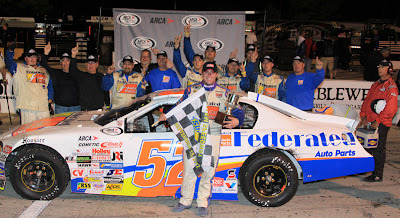 Tom Hessert (52) takes the checkered flag to win the Kentuckiana Ford Dealers ARCA Fall Classic presented by Federated Car Care at Salem Speedway. 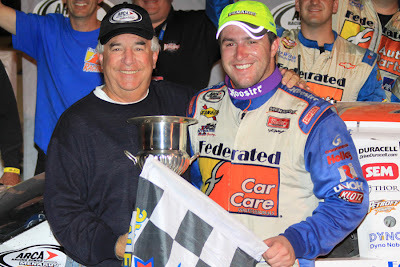 Tom Hessert III and his father, Tom Hessert Jr., celebrate the younger Hessert’s win in the Kentuckiana Ford Dealers ARCA Fall Classic presented by Federated Car Care at Salem Speedway. Tom Hessert and his Ken Schrader Racing team celebrate Hessert’s win in the Kentuckiana Ford Dealers ARCA Fall Classic presented by Federated Car Care at Salem Speedway.